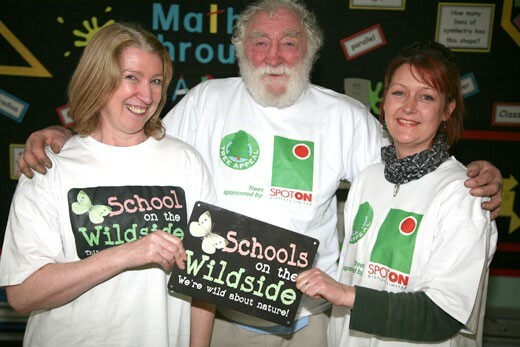 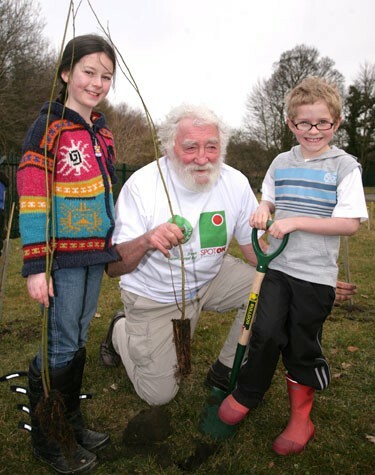 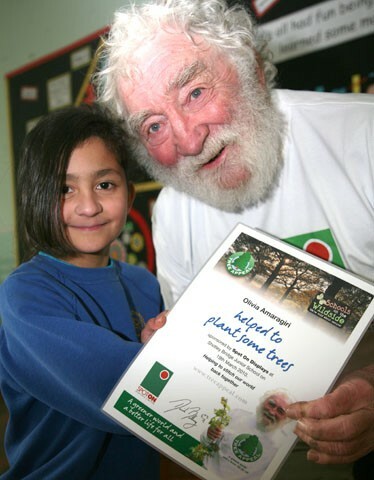 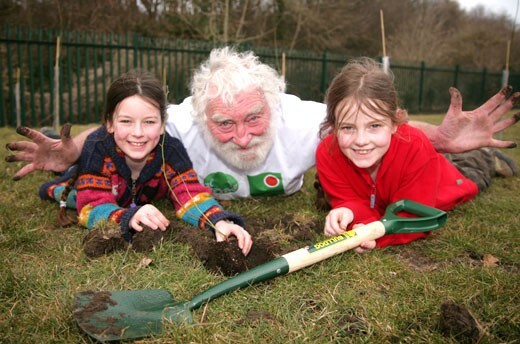 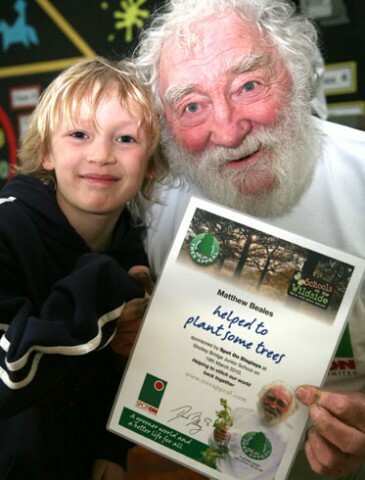 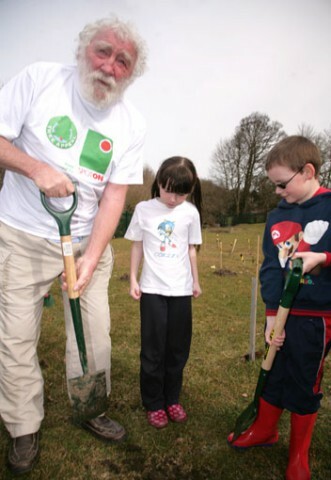 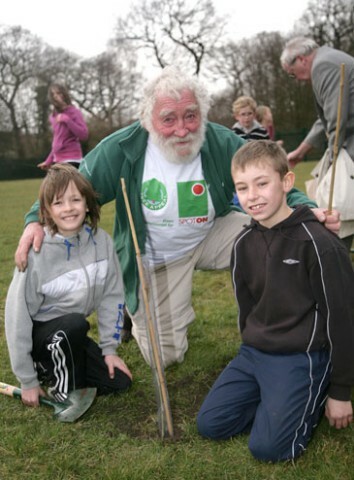 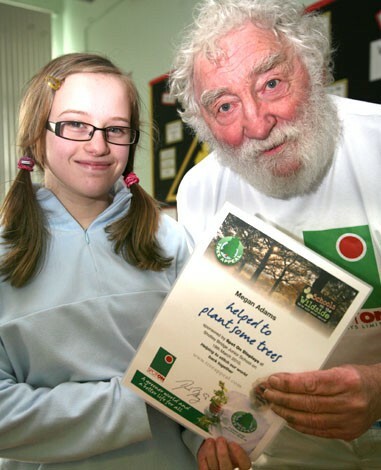 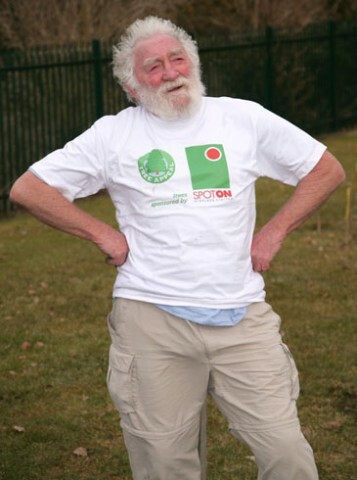 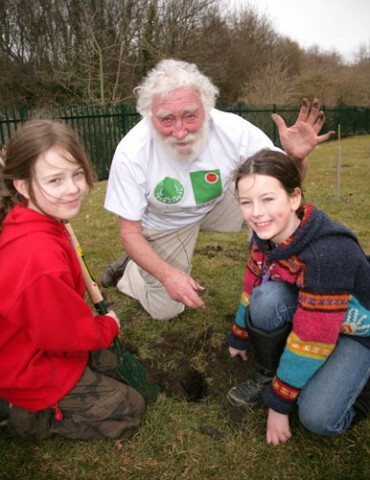 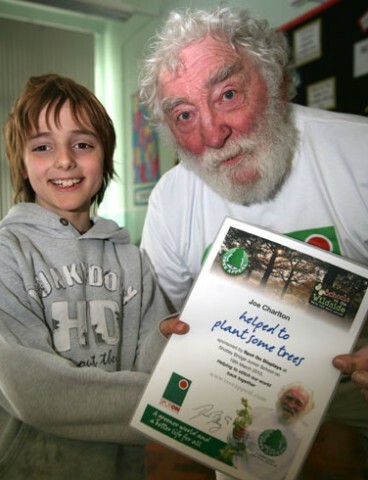 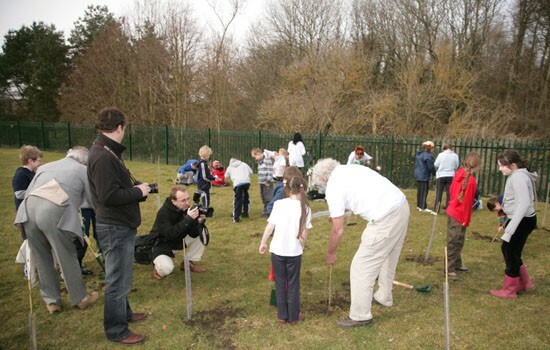 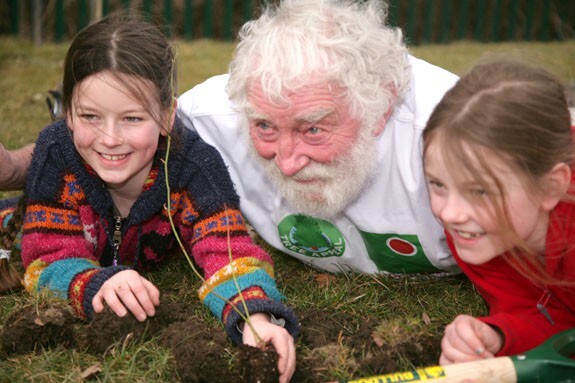 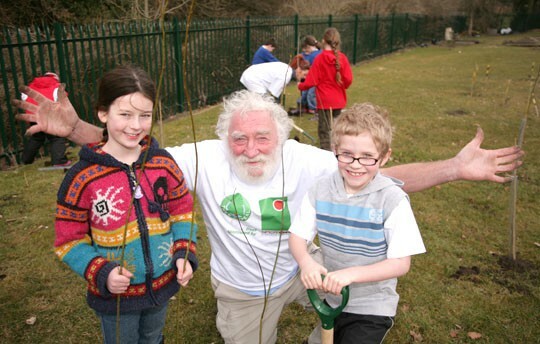 Professor David Bellamy helped the children of Shotley Bridge Junior School to plant trees on behalf of local design and print business, Spot On Displays. 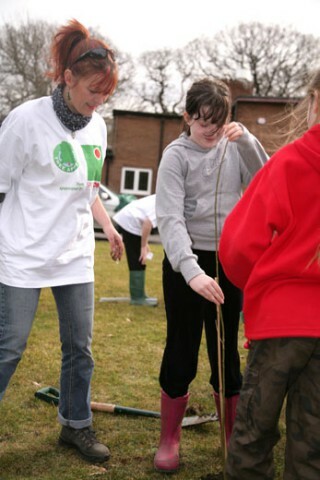 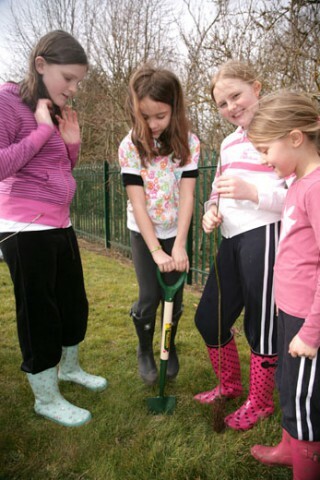 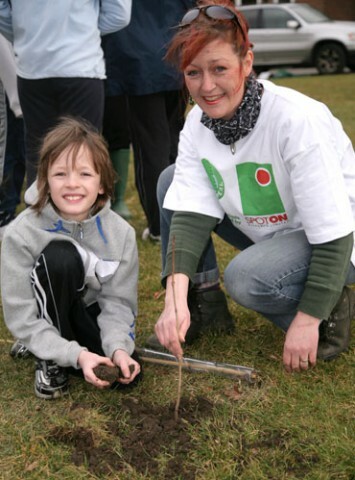 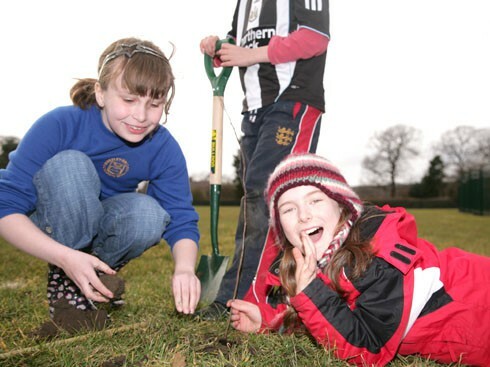 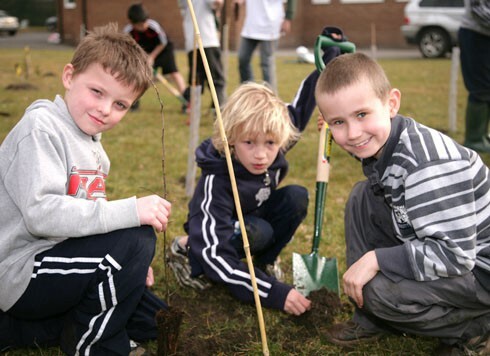 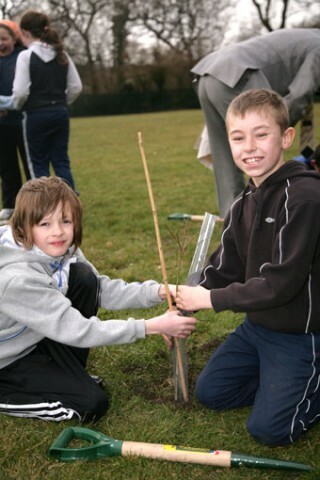 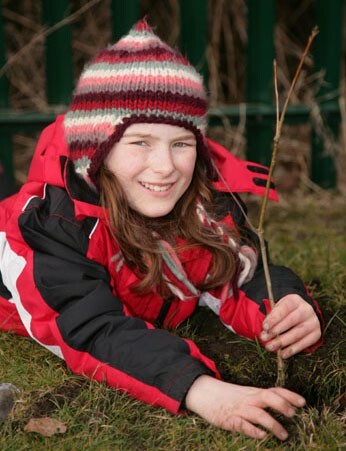 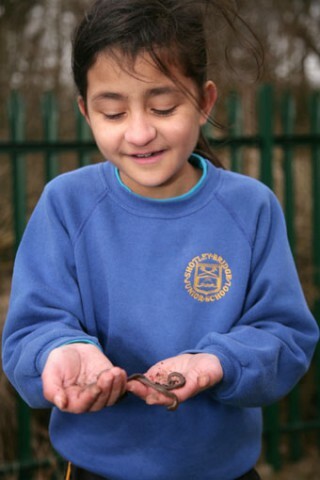 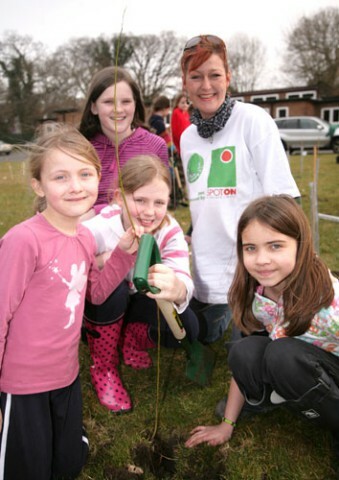 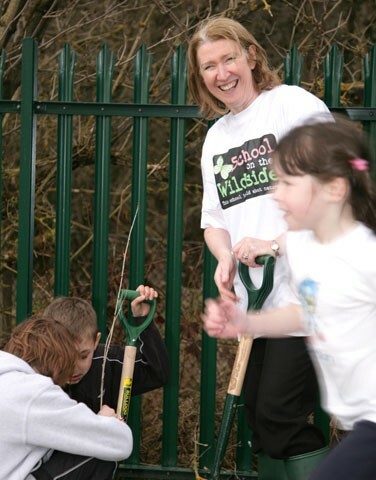 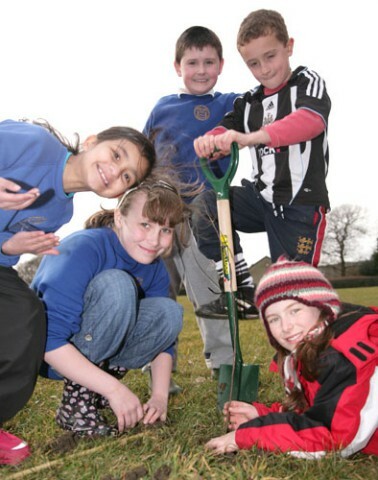 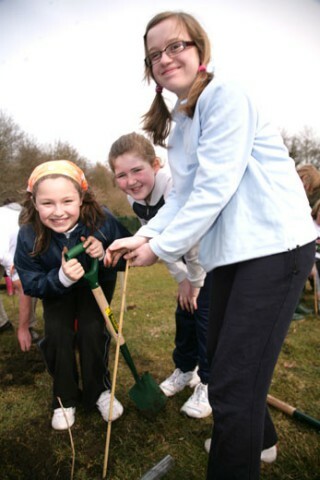 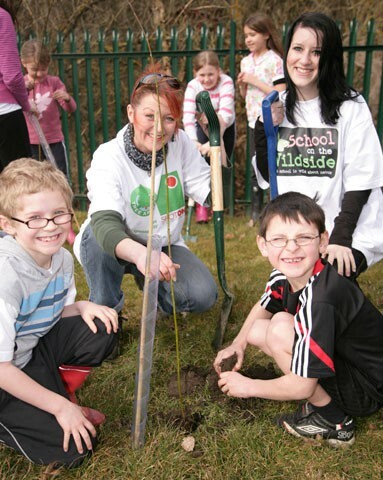 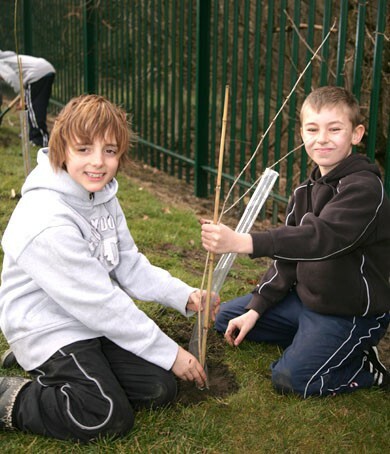 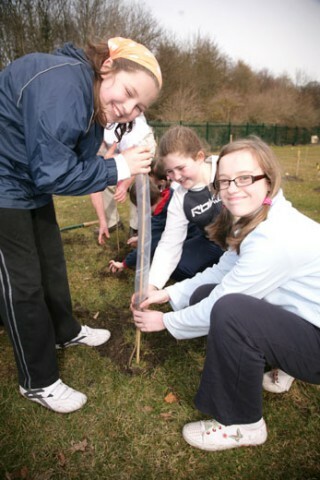 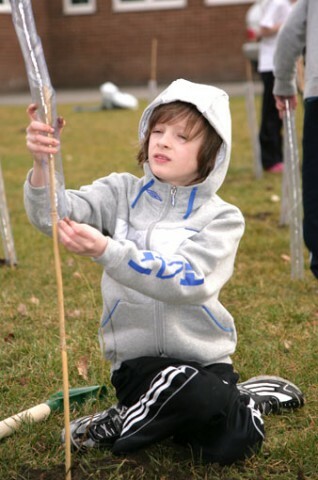 Spot On Displays have teamed up with Tree Appeal, planting native broadleaf trees into schools, helping them with their mission of growing trees, growing minds. 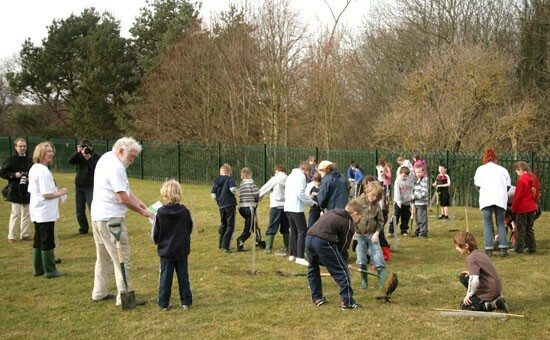 They had amazing luck with the weather, with the planting falling on a beautiful spring day sandwiched between two full days of rain and wind. 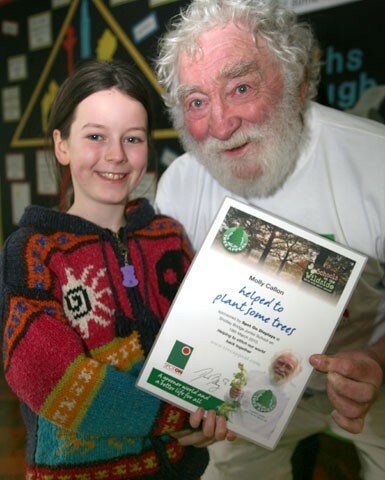 It was also a remarkable contrast to the original date that was scheduled, which had to be cancelled at the last minute due to an unexpected snow flurry! 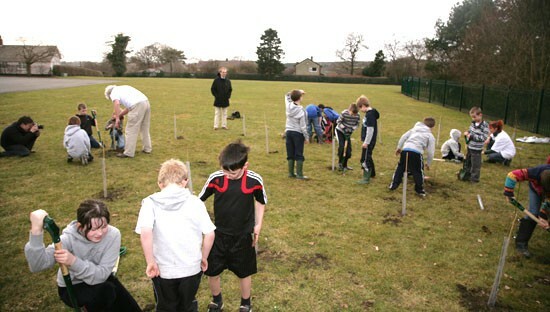 The children were able to get stuck into the planting, without getting too muddy and they successfully planted a grand total of 75 trees. 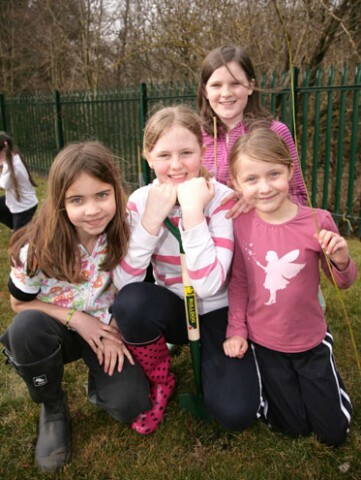 These included oak, willow and silver birch to create a shaded woodland area, complementing the existing ‘tree maze’ that the children had created and their nearby vegetable plots. 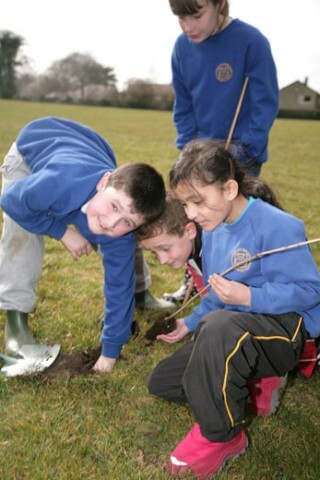 Using crab apple and dog rose trees, the children also created an ‘ecological corridor’ along their boundary fence that’s certain to provide a much needed home for a variety of mini beasts. 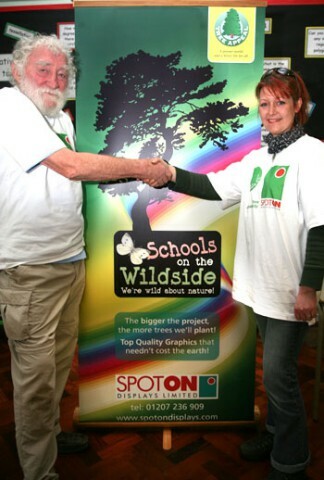 Spot On Display’s director, Samantha Callon, said “We appreciate that the exhibition and display industry can sometimes be “environmentally unfriendly” with printed graphics often only being used for a few days or even hours. 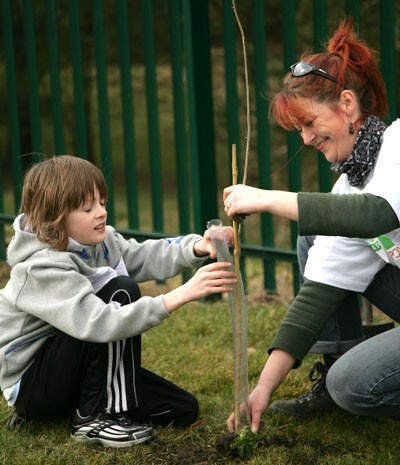 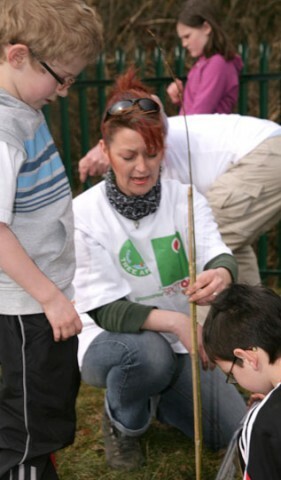 Being a Tree Appeal Partner helps us and our clients by restoring the balance and giving something back."